By Anastassia Irina in Culture. Updated on November 19, 2017 . Mascots are a common sight in many sports events and things are no different when it comes to the World Cup. 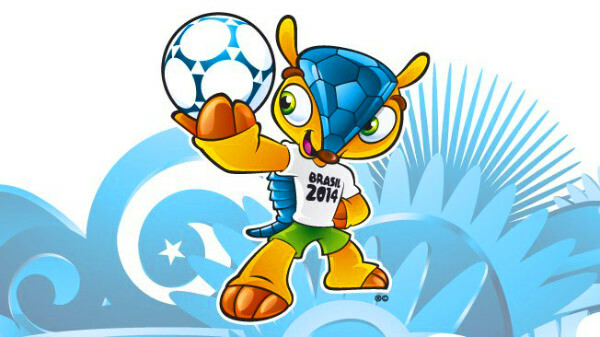 Mascots are used to encompass the spirit of a particular event as you can see in this year’s World Cup cute armadillo mascot design. However, did you know that mascots are a pretty recent invention, having only been established in 1966? Some of the earlier mascot designs are probably a bit more traditional than what we’re used to today but understanding the origins of the mascots will lead us to better appreciate the elements involved in its creation. Let’s fire up that football fever and take a closer look at how the design for the World Cup Mascots have progressed since its humble beginnings. 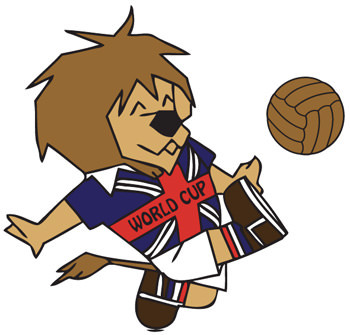 Willie the lion was the first official mascot for the World Cup. The creator, Reg Hoye, was a commercial artist who illustrated some of Enid Blyton’s books, hence the reason for this design. He submitted this along with 3 other designs. The use of the lion is a homage to his son (named Leo) but it fits the image of England’s regal nature as well. Of course, he wears England’s kit to proudly showcase his origins. Juanito is meant to be the average Mexican football fan. Decked out in Mexico’s colors and a big Sombrero to boot, Juanito is a representation of football’s fun spirit. 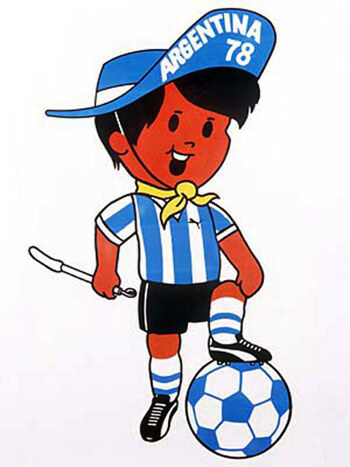 Although this mascot still has some of the child-like illustration qualities of the previous design, Juanito is a lot more polished and relatable as he is in human form. Taking a cue from Mexico, West Germany decided to stick with a human mascot but doubles it up! The use of Tip and Tap is meant to symbolize a unified Germany to present to the world. It is also why they’re not sporting a particular color. 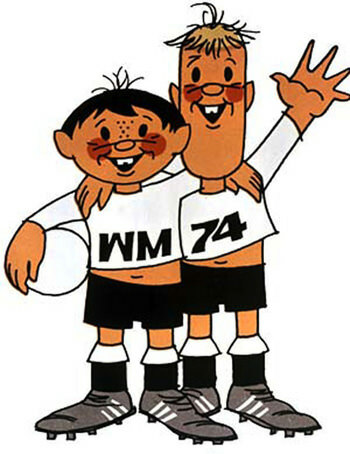 The letters WM on Tip’s Jersey stands for Weltmeisterschaft (World Cup). That combined with Tap’s 74 Jersey gives us an indication of the global sporting event that’s about to take place. If you’re thinking that the design for Gauchito looks suspiciously familiar, you’re not the only one. 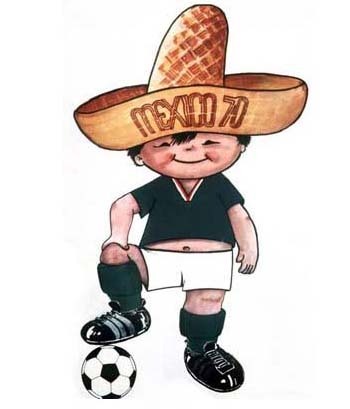 This mascot design received plenty of criticism for his resemblance to Juanito. Nonetheless, he exhibits the Argentinian flair (and flag colors) in the outfit he wears, which consists of a hat, neckerchief and whip (typical of gauchos). What makes Gauchito different is that he actually covered up his belly button. Naranjito (a play on the Spanish word for orange) is a progression from the previous human mascot designs. 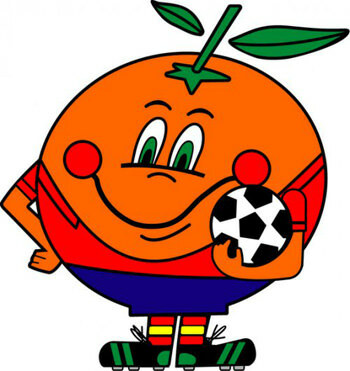 The orange is a very common and popular fruit in Spain and in 1982, the country’s love for the fruit culminated in the mascot design for the World Cup. With his cartoon-like style and smiling face, he is basically the same shape as the football that he holds, which makes him a fun character that the audience could easily relate to. At first glance, you might be confused as to what the mascot is supposed to be. What you are seeing here is actually a jalapeño pepper, which is synonymous with Mexican cuisine. Even his name comes from the word ‘Picante’ that refers to spicy sauces and peppers. 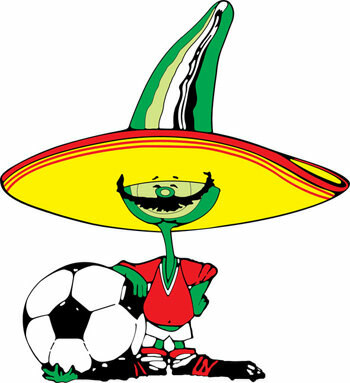 Once again, the Mexican mascot dons a sombrero and even a mustache for extra flavor. These elements enhance the effect making him more comical and endearing. Armed with a name that’s a popular Italian greeting, Italy goes for a totally different design style for their mascot. With a tricoloured stick figure body and a football for the head, Ciao looks more like a piece of abstract art, than a simple animal or human mascot. 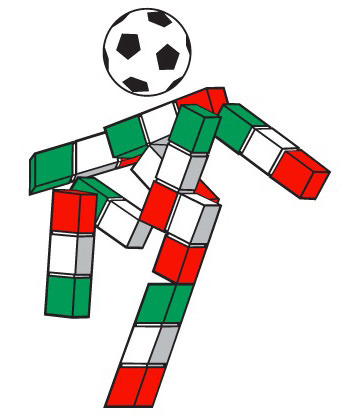 The colors of his body are Italy’s colors and it is the first time the football became a literal part of the mascot. Designed by the famous Warner Bros. Animation team, the choice of using a dog was due to the fact that they’re a very common household pet in the States. 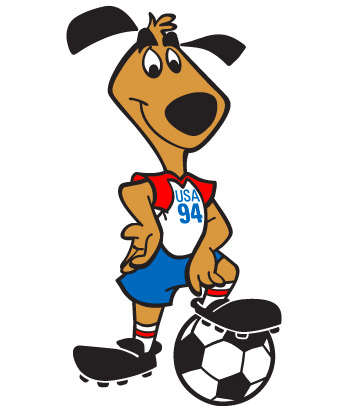 Named Striker, this mascot wore red, white and blue to signify the United States colors. The playful nature of dogs as well as their abundance of energy works well with the football theme. 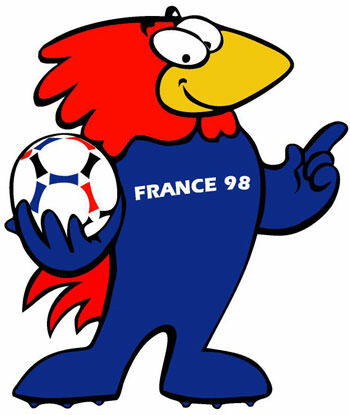 Out of 5 designs, graphic designer Fabrice Pialot’s creation of a cockerel was selected as the mascot for the 1998 World Cup. The animal is a traditional symbol of France and was greatly received by the people. The mascot’s name, Footix, comes from a combination of the word football and the ‘-ix’ suffix. Color-wise, the mascot dons the colors of the French flag, which also lines the football. In 2002, joint hosts Korea and Japan present us with futuristic and computer-generated Ato, Kaz & Nik. Their colours don’t have a connection to the host countries or the logo, which is interesting to note. 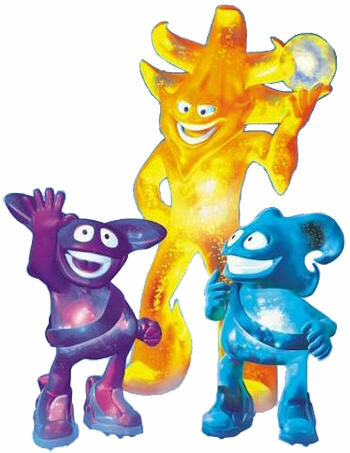 They come complete with a backstory surrounding the fictional sport of ‘Atmoball’ (similar to football), where Ato is coach while Kaz and Nik are players. Their names were shortlisted and selected via voting in Korea and Japan. 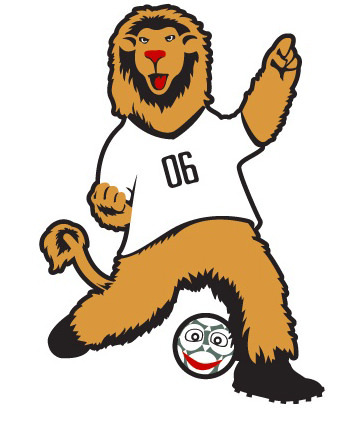 Germany introduced the world to not just a mascot in the form of the lion Goleo but also a talking football sidekick called Pille. One could probably tell that the mascot is probably aimed at a younger demographic. A lot of people criticized the design as they thought that a more suitable animal to represent Germany would’ve been better. The character was also called out for his lack of… pants. 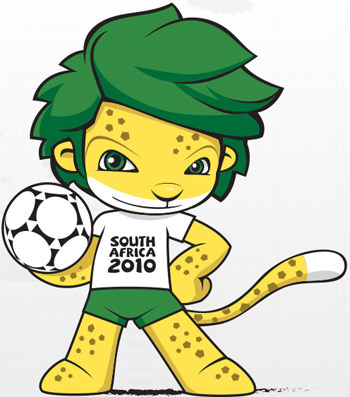 South Africa took mascot design a few steps up while keeping true to the animal mascot trend. Zakumi, derived from ZA which stands for South Africa and Kumi which is "ten" in various African languages, is a leopard. The simple jersey and shorts complemented the leopard’s more intricate body design. Zakumi’s colors of green and gold also showcases the colors of the national team. To come up with the 2014 World Cup Mascot for Brazil, six different Brazilian agencies submitted their various proposals, which was then analyzed by FIFA and the Local Organizing Committee (LOC). Their decision led to Fuleco the Armadillo making his debut on the Brazilian entertainment show, Fantástico, in 2012. What is unique about this mascot is that instead of just being a symbol for the great passion that is football, Brazil also took the opportunity to raise awareness about the environment. This is showcased through Fuleco’s particular species, the three-banded armadillo, which is categorized as vulnerable. Even his name Fuleco is a fusion of the word "football" and "ecology" in Portugese. The designs may constantly be evolving, but there’s no denying the one thing that remains the same through all the years: the world’s unwavering passion for football.